What to bring: Telescope and equipment (not essential, if you don't own one), camping chair and equipment, sleeping gear (if you are staying at the site) and a red torch (no white light) and lastly, warm clothing. Don't forget to obtain the gate/clubroom codes for access. Contact Section Director: Paul Gardiner (deepsky@asv.org.au or call 0439 374 159) for more information. Are you interested in observing galaxies, open and globular clusters, planetary nebulae, emission nebulae, reflection nebulae and dark nebulae to name a few. Then join the Deep Sky Section at our monthly meetings at LMDSS. If you have a telescope, bring it with you and if you don't there will be scopes to view through plus the society's 40 inch telescope and the 25-inch Obsession will be in operation. We aim to provide novice deep sky observers with the ability to learn from experienced observers about how to locate and observe these objects, which eyepieces and filters work best and the resources to get the most out of your observing experience. 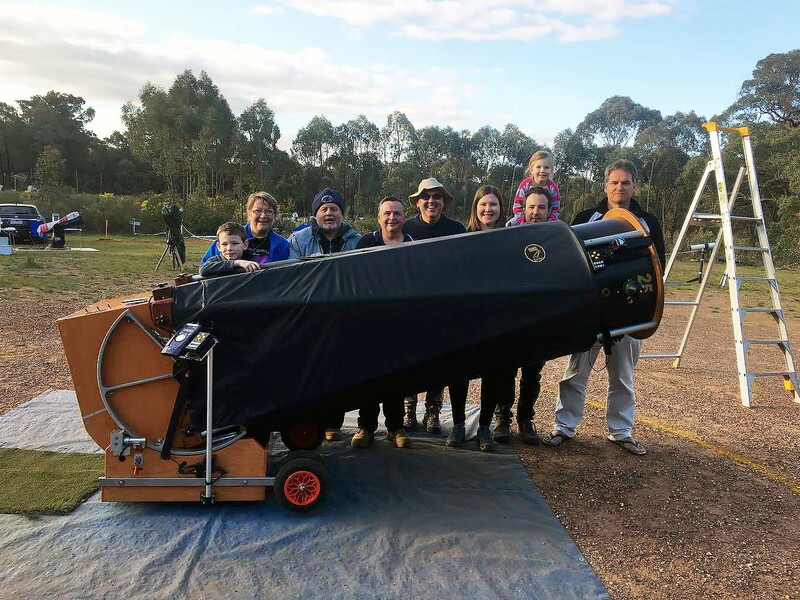 For the seasoned observer, the Deep Sky section provides an arena to get together, share information and experiences and imparting knowledge to astronomers new to the field, but most importantly having a great time doing the thing we love the most, driving our telescopes to their limits.